Nashville residents will recognize Nolensville Pike as one of the best and most diverse areas to eat in the city. You can find cuisines ranging from Kurdish to El Salvadorian along the stretch of road south of downtown. Recently, the Solis family added a new destination to the lineup – Tempo. Driving along Dickerson Pike in East Nashville, you can’t miss the brightly colored mural that has been added to the landscape. Take a closer look, and you’ll see the gold lettering and green interior of Retrograde Coffee. After a swift ninety day building period, the café opened on July 14. Before Retrograde’s opening, there wasn’t a cafe in the neighborhood. The community’s response has been positive– in the short time since they’ve been open, they’ve already established a base of regulars…. When was the last time you went to a coffee shop and felt like the star? While craft coffee has focused on improving the product, the customer experience has largely been overlooked. Nashville’s Steadfast Coffee is trying to change that. When we first visited Steadfast Coffee they were a small pop-up shop with big ambitions. A year later and they’ve opened a roastery, a café with a full kitchen, and a cocktail bar is on the way. The common thread throughout? Hospitality…. You might might say 2015 has been the year of Revelator. Technically, the Birmingham-based company opened their first café at the end of 2014, but in a span of less than 12 months Revelator Coffee has opened five cafes in as many cities- with a sixth one on the way. We’ve long considered Nashville the South’s coffee capital, so we weren’t surprised that Revelator picked Music City as the site of their fifth café…. With a highly refined aesthetic and an unparalleled selection of specialty coffee roasters, Barista Parlor has set the standard for boutique coffee shops for the past two years. The café is known to produce rather visceral reactions on the part of its customers, and despite attracting a small following of haters, a steady flow of Nashvillians flock there for their house-made biscuits, extensive chocolate menu, and, or course, coffee. 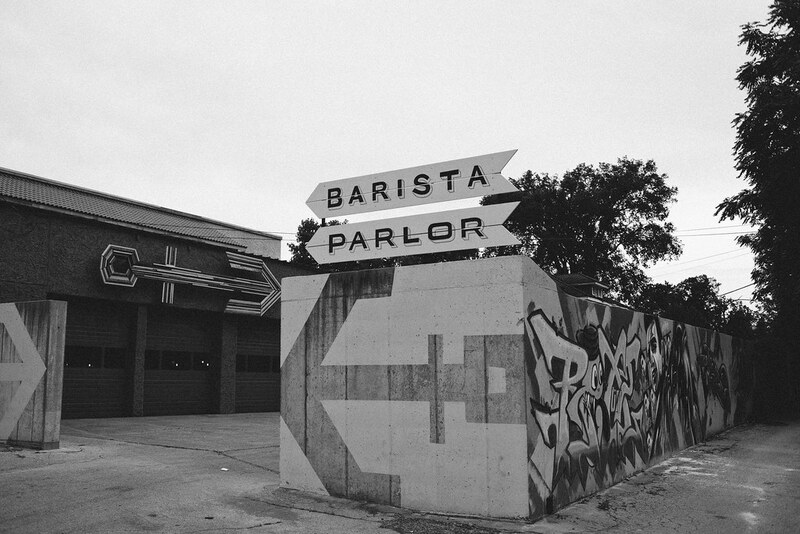 With the constant demand, it was only a matter of time before Barista Parlor opened a second location. With Barista Parlor Golden Sound, that moment has arrived…. A brisk 7-minute walk from the Country Music Hall of Fame, tucked away in a rather unlikely location near a Shell station, is Crema, Nashville’s premier micro-roaster. The dirt parking lot is reminiscent of some Tennessee back road and the building is unassuming. Upon stepping into the café, however, that impression disseminates with the greeting of a friendly barista and the scent of roasting coffee. Crema is both café and roastery, and the space is home to the operation behind their award winning coffee…. Editor’s note: Travels of a Barista Dirt Bag is an ongoing series of dispatches from barista/ guest blogger Zach Hester. The search for a delicious cup of coffee is taking Zach from his native Kentucky bluegrass, down the Mississippi Delta, across the Southwest to the shining Pacific Ocean. Tune in each day for a fresh update. You’ve probably heard your favorite band being played in your local coffee shop, but you probably have never seen your favorite band there, unless your local coffee shop is Barista Parlor in Nashville, TN. But then again, Barista Parlor is far from your typical coffee shop. Tucked away in a remodeled garage just off of Gallatin Ave, East Nashville’s main thoroughfare, Barista Parlor is marked by a giant horizontal anchor and a rather garish orange and blue exterior. The high-ceilinged interior has the aura of an abandoned WWII hanger, which may be influenced by BP’s penchant for 1940s and 50s music and vintage decor. Customers chat at hand-crafted tables that circle an island of high end coffee machinery. The far wall is filled with a contemporary art piece of a pixilated ship which only becomes visible when viewed through a smart phone or camera. Owner Andy Mumma’s meticulous attention to detail has even attracted the attention of the New York Times, whose article talked more about the furniture than the coffee.